With over 30,000 Property Inspections! Founded over twenty years ago, we have the answers! Inspectrum offers inspection services for home buyers, sellers and investors considering the purchase or sale of condos, single family homes, multi-unit buildings and small commercial buildings. We also offer consulting services for home buyers, sellers, investors and associations. 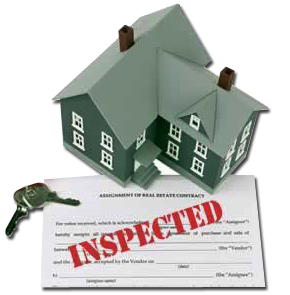 Inspections tend to follow a formalized preset format, derived from requirements of the Illinois State Home Inspector’s Act. Consulting services are much more varied, ranging from a simple review of one (1) building component to detailed analyses of multiple interrelated systems. We review these inspection options with each client to assure that they receive the best value for their needs. The company has chosen to remain a home inspection generalist, (much like your family doctor). Historically we were licensed and certified to provide a variety of specialized services, including pest, lead, radon, asbestos and EIFS. We retain the training and knowledge obtained from performing those services so we know when to recommend a specialist, but we are also smart enough to know that we cannot be experts in everything. Experience has convinced us that sometimes only a specialist has the knowledge and skill to truly benefit the client. Therefore, we recommend specialists when appropriate, (much like your family doctor may refer you to a medical specialist). Inspectrum Inc. was founded in 1995 by experienced real estate professionals to provide the most informative, complete and professional home inspections in Chicago and the surrounding Chicagoland area. Our ratings are exceptional and our referrals pass every test of excellence. 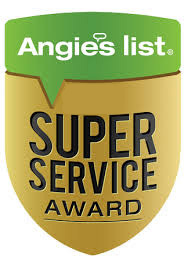 Feel free to check our company’s ratings on Angie’s List. Thank you for trusting the Inspectrum Team for your property inspection. Please do not hesitate to call us with any questions you may have about your report.